It's been a while, I know, BAD Girl. 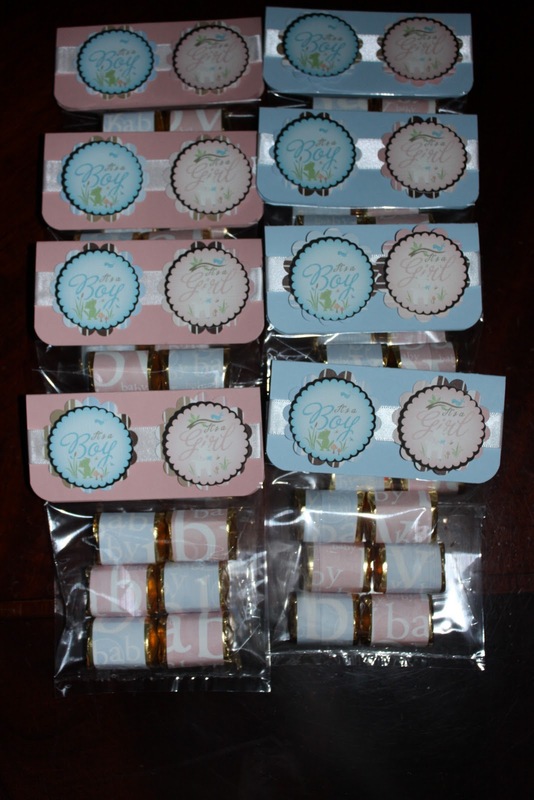 Below are the favors I did for the baby shower last month. I had done the invitations as well for the party. I think they came out SUPER cute! I used a combination of things, Stampin' Up! cardstock, Stampin' Up! 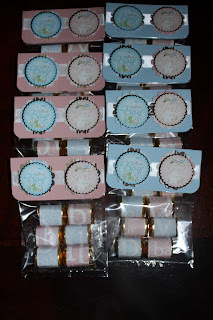 punch, pattern paper, cello bags and my friend printed these cute "It's a Boy and It's a Girl" embellishment from the Cricut Imagine for me. I am so getting one now. 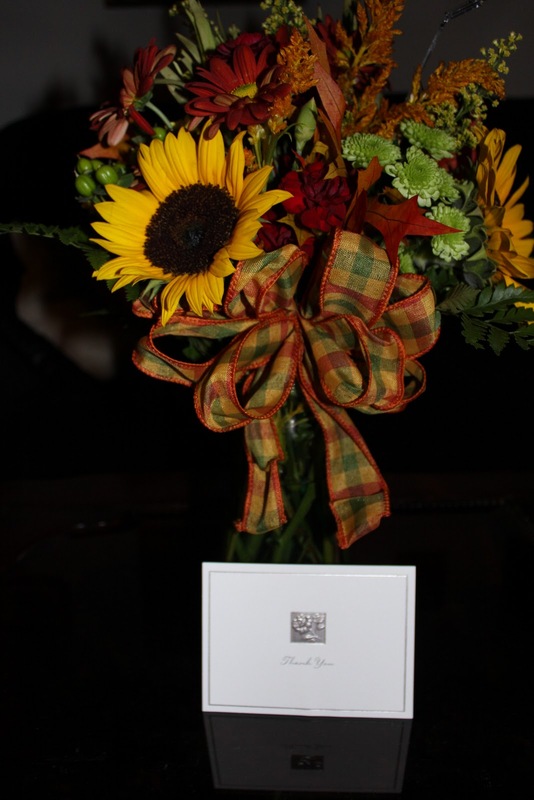 These are the beautiful flowers and thank you note I received for doing the work.